The pressures of prefabrication encourage an integrative process and on-time project delivery, though transportation and culture remain issues. 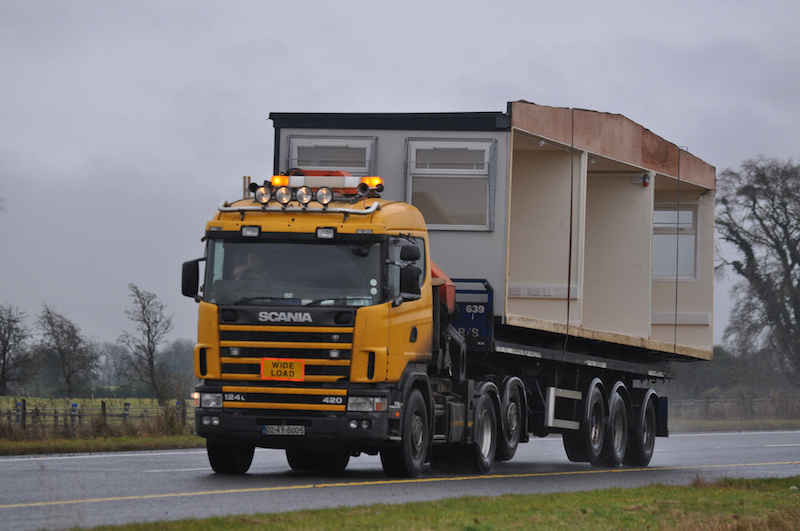 A truck transports a pre-fabricated housing unit. Although prefabrication completely changes the traditional construction process, there hasn’t been a lot of hard data on its benefits. A new survey conducted by the National Institute of Building Science (NIBS) indicates that off-site construction can reduce construction time and improve deadline performance enough to cut overall construction phase time by 73.2%. Participants across multiple disciplines—312 in total, including architects, engineers, contractors, construction managers, subcontractors, and developers—were polled. About 93% responded that they had used off-site components at least somewhat in the past year, and 83% agreed that they plan on using the strategy “more often or the same amount” over the next year. With all of the positive results, why isn’t prefabricated construction the norm? Although distance between the place of production and the jobsite remains a major issue, the construction and design culture itself was reported as a bigger obstacle. “Late design changes, lack of collaboration, and an adversarial climate for project delivery lead to difficulties in realizing the benefits of off-site construction” reads a survey summary. Seventy-eight percent of respondents believed that the process required moderate to high degrees of stakeholder investment. Does this data include residential studies? Single and/or multifamily? Thank you for your question. The survey was not intended to address residential off-site construction, though several of the participants in the survey are employing OSC for residential single family homes. The chart on page 22 of the survey report shows that 8% of projects from those surveyed were single-family residential homes. "The survey responses indicate where off-site construction is most often being utilized. The participants (who could select multiple categories), are using off-site elements for commercial construction (57%), industrial (51%), healthcare (45%), education (37%), multi-family (24%) and hospitality (23%). Note: the survey was not intended to address single family residential construction (8.0%). (Question 14)"